Rebuilding the pallet into bench, tables and pallet sofas you can make your home get with some sitting space at both outdoor and indoor! You can also reclaim the pallets for amazing storage units to maximize the interior storage space to enjoy entire home environment in uncluttered mode! Build amazing racks, install wall hanging shelves or stack the pallets for amazing storage units like cabinets, trunks and chests! 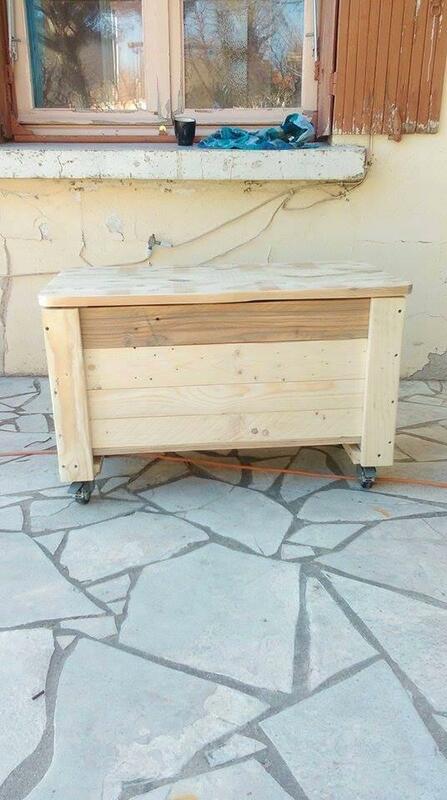 This time we have brought this wooden pallet chest with wheels, can go for multiple storage options will be a fun to move especially for the kids! Store the tools, jewelry pieces, wedding gifts and cards and those of kid’s toys! One can also use it to secure the kids stationery items that always need to be organized well in kids study rooms! This pallet-made storage box can beautifully be adjust at underside the tables and beds to make your left with more interior space to use for other purposes! Do copy this space-saving pallet furniture inspiration and take good care of kids stuff! 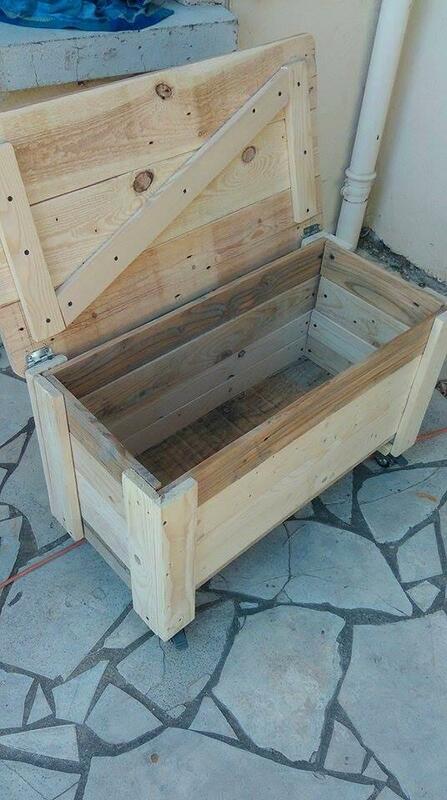 Gather some equally thick removed pallet slats, bring them to perfect and according size to build up this box shape, plan the top lid using the same separated pallet pieces and make it hinged! 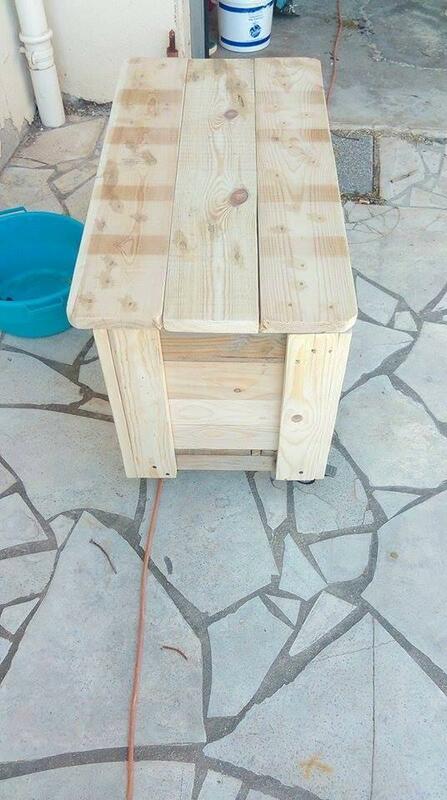 Sand the wood to look smooth and brighter and add wheels at the bottom and that’s it! Box has been a little bit deeper to provide extra storage space to your items of interest! Make it painted in your desired color combination and add tags and name letters at the front for more showy looks! Build some appreciated pallet furniture just like this storage box, perfect for storage of toys, kids stationery and tools! Use it also as keepsake box, jewelry box and wedding card box!